Many venues across the San Antonio and Austin areas use operable partitions and folding walls to maximize their functional space. Like most anything else, those systems require routine maintenance and tune-ups to keep them working properly and looking sharp. We take the time to properly inspect your system, lubricate all the moving pieces and perform a complete system inspection to ensure that all the components are properly maintained and in good working order. 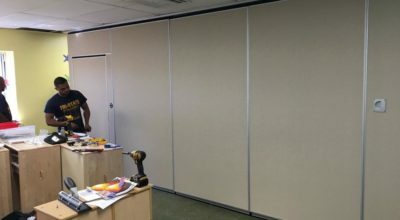 We understand that a damaged or non-functioning operable wall can be a massive issue for San Antonio area businesses, hotels, schools, churches, conference centers and more, so we always make sure that we do the job correctly and quickly the first time. 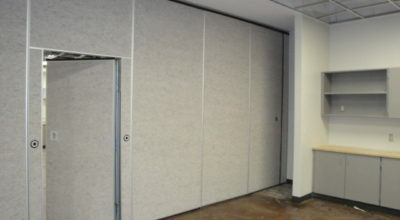 Contact our team today to get a free quote on your movable wall system maintenance. 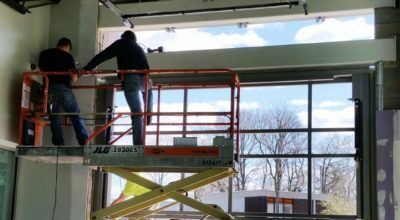 While we’re out, we can also offer check your operable partition systems for any necessary repairs, as well as many other services for your space. Don’t delay. Reach out to the professionals at Specialty Building Services today!